Canadian Subscriptions: $18, by Paypal above or by mail. All other foreign addresses, please add $5 for postage. European subscriptions may be paid in euros (18 euros/year) to our office in Italy: Nancy Mellichamp Savo, Via Lola Montez, #14, Rome, Italy. Individual copies of The Lyric are $5 each. 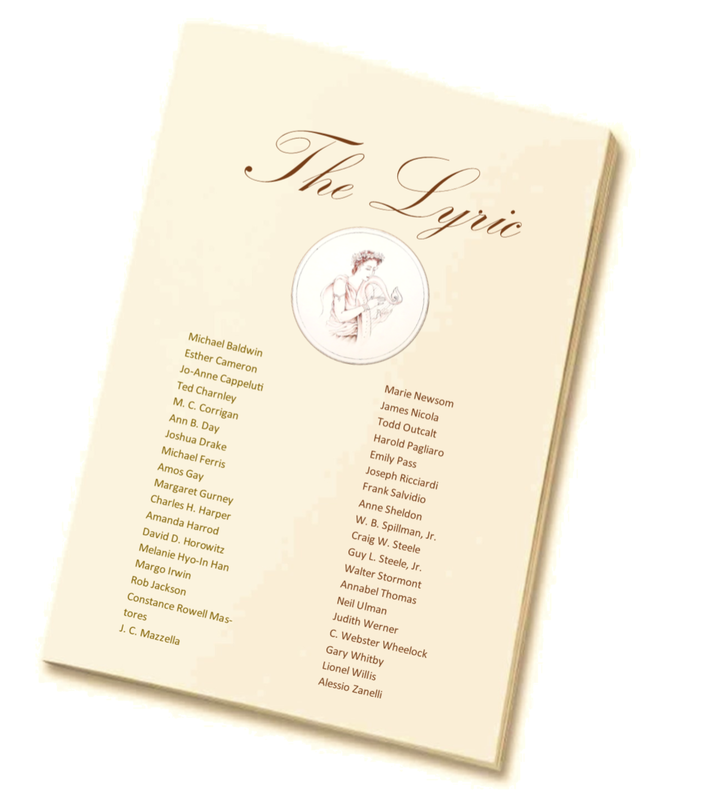 Please email us at themuse@thelyricmagazine.com to order The Lyric in single copies of your choice.